REM Escobar the Director of REM Project. 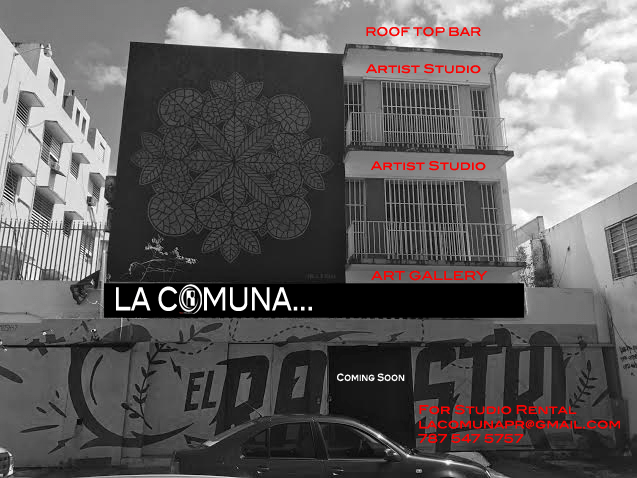 Announce the creation of the first artist studio community in Puerto Rico. 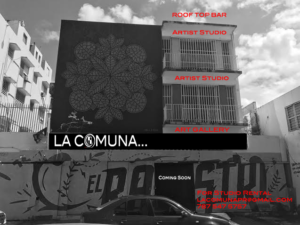 LA COMUNA… It’s a self sustainable Art Center. Our purpose is to supports diverse artistic activities that bring together professional artists and the broader community to form a community art space offering art gallery, art workshops, studio facilities, and art services for these professional artist or anyone that have a serious commitment in the art. 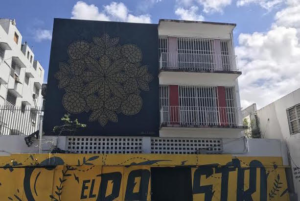 These artist community have open doors for the Caribbean, Latin American and International Artist will use the art space that will provide for the a Art Gallery, His Own art Studio, class room for continue education to the artist, Art residency Program for selected artist. Located on #621 Calle Cerra San Juan, PR. Our Services: we will provide enriching and beneficial art experiences for learners, artist, art collector and art fans. Art conference rooms for meeting, seminar and Classes for the Comuna artist and open to others as well.